Tomáš Satoranský, photo: ČTK/Josef Vostárek Hats off to the Czech Republic’s basketball players, who have qualified for the sport’s world cup for the first time in the independent history of the state. Czechoslovakia’s last appearance in the competition was in 1982. 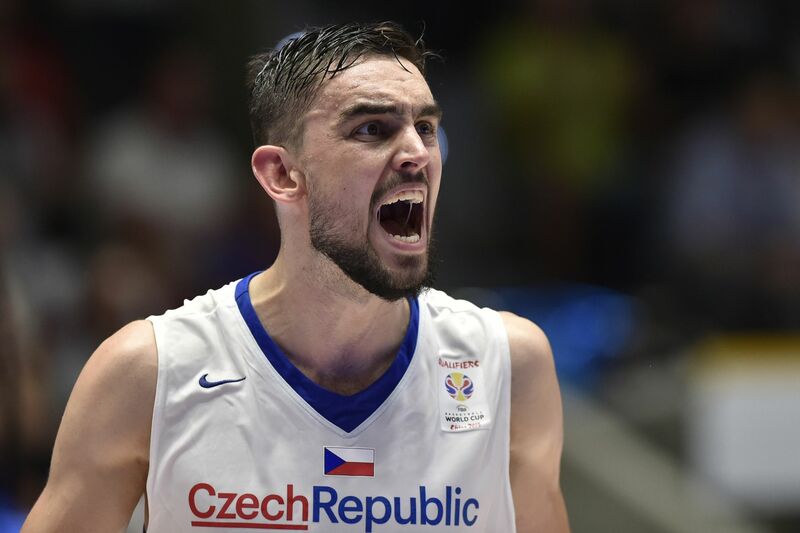 A 85:80 victory over Bosnia and Herzegovina ensured that the Czechs made it to the next world cup, which gets underway in China in just under a year’s time. Forward Vojtěch Hruban, who secured 17 of the Czechs’ points, had this to say after Sunday’s win. The only Czech player currently on an NBA contract, point guard Tomáš Satoranský, was equally excited. Slovácko - Slavia Prague, photo: ČTK/Dalibor Glück Top of the table Slavia Prague have set a new record in Czech football’s top flight for longest time without conceding an away goal. 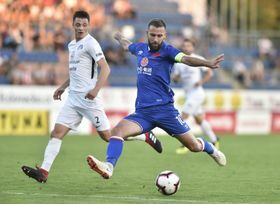 Ironically they set a new best of 758 minutes in a game when their defence was breached, but they still ran out 3:1 winners against Slovácko in Sunday’s clash. Slavia are only first on goal difference ahead of Viktoria Plzeň, who also won at the weekend. The West Bohemians overcame Opava 1:0 at home. 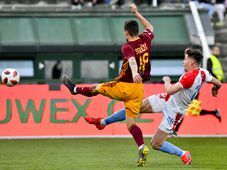 Sparta Prague, meanwhile, can return to just one point behind the front two if they beat fierce rivals Baník Ostrava away on Monday evening, after the recording of our show. 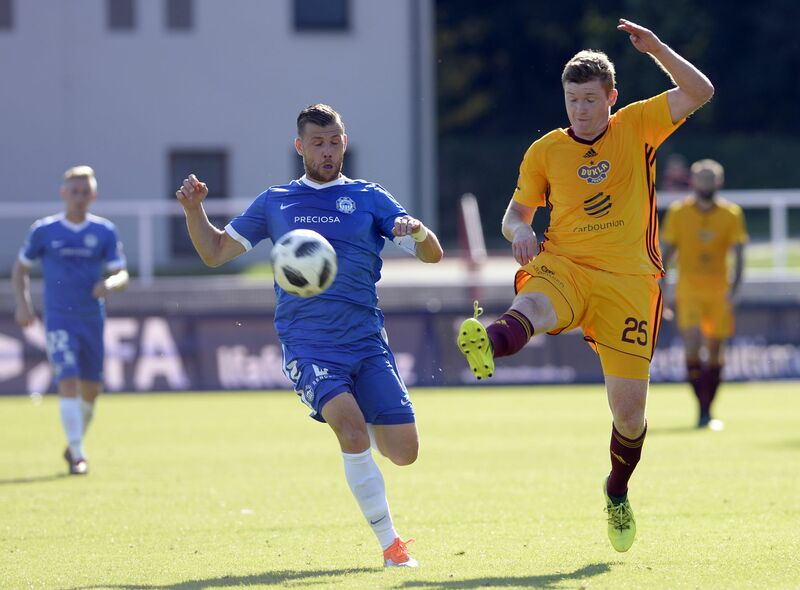 Dukla Prague - Slovan Liberec, photo: ČTK/Kateřina Šulová At the other end of the table Dukla Prague picked up their first points in eight outings so far this season. They put two past Slovan Liberec without reply at the weekend to finally give their fans something to smile about. Czech Libor Suchánek has become the first non-North American fulltime official in the history of ice hockey’s NHL. The 29-year-old was offered a minor leagues linesman contract by the NHL last year and – after officiating at 37 games – has now seen it upgraded to a fulltime deal. Suchánek is reported to have come to the attention of the league’s officiating crew for his work on a game in Prague prior to the 2016 World Cup of Hockey.